Plunkett Cooney has approximately 140 attorneys in eight offices across Michigan, as well as offices in Chicago, Illinois, Indianapolis, Indiana and Columbus, Ohio. The National Law Journal recently named the firm among its top law firms for female diversity. Moreover, our firm has been recognized in recent years as one of the top places to work regionally in the legal industry. We are proud of our diversity efforts, and remain committed to the goal of building an inclusive work environment. Diversity in the workplace is both a moral imperative and a business necessity. Plunkett Cooney values the contributions brought to the firm by a workforce diverse in background, life experience, and cultural perspective and is committed to fostering inclusion with an equal opportunity to succeed. In today's competitive business environment, our clients expect and demand legal services providers who reflect the diversity of the communities in which we practice. Our commitment to diversity serves to advance each of the strategic goals established for the firm. To celebrate diversity is to appreciate and value individual differences. Characteristics that make us diverse include, but are not limited to, age, race, nationality and ethnicity, gender, religious beliefs, sexual orientation and marital status. To secure our continuing dedication to the principle of workforce diversity, Plunkett Cooney has developed policies to recruit, train, and maintain a diverse team of exceptional professionals, paralegals, and support staff. Our procedures and organizational structures are focused on achieving our diversity goals. Since 2002, the men and women of Plunkett Cooney have been working tirelessly to improve diversity within the firm, the legal profession and the communities in which we live and work. Along the way, we have forged new relationships and strengthened old ones with colleagues and community leaders focused on making a difference. Below are just some of the many organizations and efforts with which Plunkett Cooney is proud to be affiliated whether as members, leaders or sponsors. These organizations and their members are our partners on a fascinating journey to make this world a better place! The AAPC was established after a series of informal discussions among African American partners at major metropolitan Detroit law firms who perceived a significant decline in the number of black lawyers at these firms. The AAPC is contributing to the conversation about improving diversity and inclusion in the legal industry and sponsors programs to achieve that goal. Plunkett Cooney is a proud member of the AAPC, and our efforts are led by partner Laurel McGiffert of the firm’s Detroit office. An offshoot of the African American Partners’ Collaborative, the AAAC brings together some of metropolitan Detroit’s most talented African American associate attorneys from the region’s largest law firms. The AAAC has three primary objectives: (1) develop best practices for law firm recruitment, mentorship and retention of African American attorneys within the Collaborative, (2) create and support programs designed to increase diversity within law firms, corporations, legislative counsel, the judiciary and law school administration and faculty, and (3) create and support programs designed to increase African American elementary, middle and high school students’ interest in the legal profession. Alannah Buford of Plunkett Cooney’s E. Lansing office leads our firm’s efforts on behalf of the AAAC. Named in honor of one of the nation’s earliest and most prominent African American attorneys, the D. Augustus Straker Bar Association is a proactive organization of diverse attorneys with a mission of promoting legal practice opportunities for people of color and facilitating equal justice for all citizens in metropolitan Detroit. A number of Plunkett Cooney attorneys are members of the association, and the firm is a proud sponsor and supporter of many of its annual events, including the annual D. Augustus Straker Trailblazers Awards Dinner. Founded in 1941, the Michigan Roundtable for Diversity & Inclusion is the oldest organization involved in race relations in Detroit. The organization was formed in response to the growth of totalitarianism abroad and divisions within the Detroit community. Today, the Roundtable proudly serves as a catalyst for change by developing, organizing and empowering individuals and communities to advance equity and opportunity for all. Plunkett Cooney is a longtime member of the Roundtable and has had the privilege of sponsoring and participating in many of the organization’s educational efforts and community events. 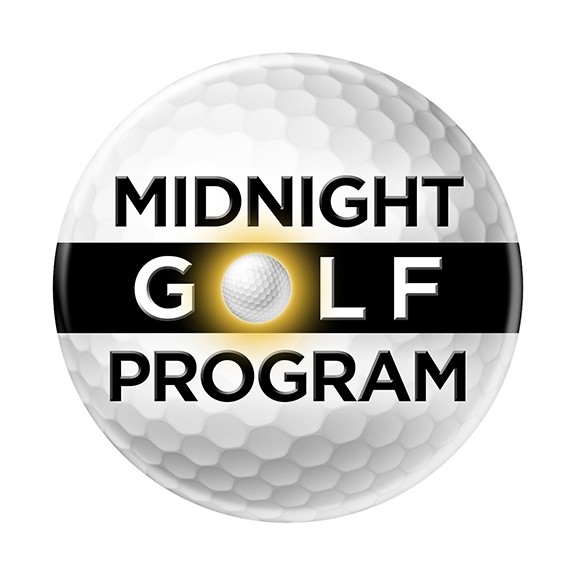 The Midnight Golf program was founded in 2001 by a single mother who noticed the impact golf had on her son’s life. It started as an offshoot of the safe streets initiative called Midnight Basketball. Today, two groups of 125 inner city students meet twice-weekly with mentors from 5:30 p.m. to 8:30 p.m. for life lessons, golf and a sit-down dinner. Midnight golf boasts a 100-percent success rate for program completion with all participants going on to attend college. Program participants also have a much higher college graduation rate (60 percent) than the national average for African American students (40 percent) and a five times higher rate than other Detroit young people. Plunkett Cooney has been a proud sponsor of Midnight Golf since its inception. For many years now, Plunkett Cooney has been a proud sponsor of and member of New Detroit, a coalition of leaders working to achieve racial understanding and racial equality in metropolitan Detroit. The organization was formed in response to civil unrest in 1967 that uncovered a host of entrenched social and community ills. New Detroit provides a forum for community leaders to come together to listen and to learn from each other and to serve as a regional forum for sensitive issues among individuals who might otherwise have no contact. New Detroit has served as a catalyst for change, influencing the actions of individuals and institutions through advocacy and leadership by example. The Wolverine Bar Association, an affiliate of the National Bar Association, was created by African American attorneys in the 1930s. It was organized to coordinate the energies and talents of the increasing number of African Americans admitted to practice throughout Michigan. The roots of the association are in the Harlan Law Club, which was founded in 1919 by several attorneys in the Detroit area who were excluded by local bar associations across the state. The association’s goals and ideals of equality and dedication to the community have not significantly changed from those of the founders of the Harlan Law Club. Several of Plunkett Cooney’s African American attorneys are proud members of the Wolverine Bar Association, and the firm is pleased to provide support and sponsorship of such activities and events as the association’s Annual Barristers Ball.